This annual event hosted by Wisconsin AHEC invites students from any Wisconsin college/university to compete in a case competition. Teams will have two months to work together on a case study and submit their entry prior to the competition event. Each team will conduct an analysis of interprofessional efforts during the care of a patient/client. 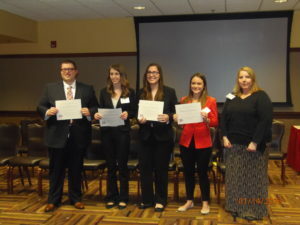 At the end of the process, your team will present your findings to a panel of judges representing various disciplines in the community of Wisconsin’s healthcare professionals. Teams of 4-5 students from any health professions degree or discipline may compete with at least three different degrees/professions represented in each team. Individuals that want to participate in the case competition but do not have the connections to form their own team can apply via the individual application. After filling out this application, AHEC staff will review your information and region of interest and place you on an existing team or form a team of individual applicants. Once you submit an individual application, you CANNOT be included on a separate team application!